Bridgetown, the capital of Barbados, was settled in 1628 by Charles Wolverstone, a British representative for a group of merchants in London. English sailors originally landed on the island of Barbados three years earlier, claiming the island for King James I as a possession of England. There were traces of earlier settlement, but the area was largely abandoned other than an aged, crude bridge that spanned the swamp situated in the center of town. This is where the town got its name. Today Bridgetown welcomes visitors from around the world with beautiful sights and plenty of duty free shopping. Cruise ships dock at the Bridgetown Cruise Terminal located roughly one mile to the west of Bridgetown at Bridgetown Port or Deep Water Harbor, as it is known. You can begin your shopping before you even leave the port at the shopping mall located on site. In Barbados there are many historical sites to visit and plenty of places to shop and have fun. One place you may want to visit is the Bayshore Complex, just outside of Bridgetown, that offers plenty of history and shopping with a lovely beach area just a short distance off the courtyard. Another place that you should try to see is the Parliament building in Bridgetown that dates back to the late nineteenth century and presents a lovely example of architecture from that period. The Parliament building also contains the Museum of Parliament depicting the history of the island as well as the National Heroes Gallery featuring the profiles of some of the most distinguished citizens of Barbados throughout its history. On another note, for those who are interested in going to beaches, Payne's Beach and Brighton Beach are the most famous and popular beaches in Barbados. Those who are nature buffs should visit Welchman Hall Gully national park which has many interesting animal species and is a great place to spend some time. 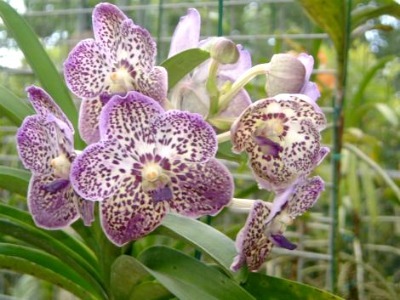 Barbados is also famous for its 3 botanic gardens - Orchid World, Flower Forest and Andromeda Botanic Gardens - which are definitely worth a visit if you can find the time. When visiting Barbados, be sure to sample the rum punch! The birthplace of rum, Barbadians make a delicious rum punch that is the perfect complement to an afternoon at the beach. Also, be sure to sample the local cuisine while visiting. Seafood is a staple of the area and there are a number of wonderful beach front cafes and restaurants where you can sample the local delicacies. Prices vary from reasonable to high-end so there is something for everyone. Many restaurants offer intimate seating on the beach with beautiful views of the Caribbean. Transportation in Bridgetown is readily available. Upon arrival, there are taxis posted at the port waiting to take you around the island. You can also rent a car or ride the bus, which is a very inexpensive mode of transportation. The downtown area of the city of Bridgetown is also pedestrian-friendly and only around a one mile walk from the port. The currency in Barbados is the Barbadian dollar with an exchange rate of around $1.99 in local currency to $1.00 U.S. dollar. Most merchants, however, will accept U.S. dollars. Should you need to use the Internet to check your email or to call someone outside of Barbados, you can do it right at the port, at the Telephone Center. 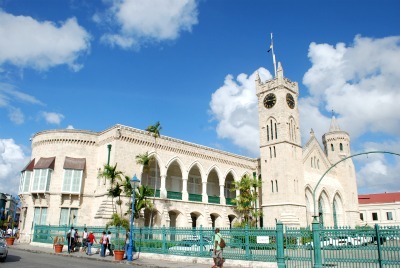 Here is the beautiful Parliament Building in Bridgetown. Payne's Beach, one of the most popular beaches in Barbados. One of many beautiful flowers in Orchid World botanic garden. 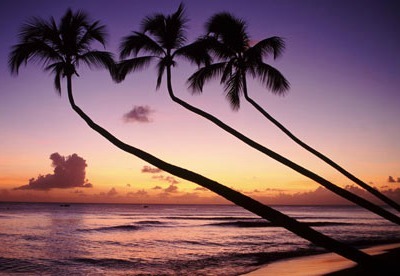 Sunset is really beautiful in Barbados.